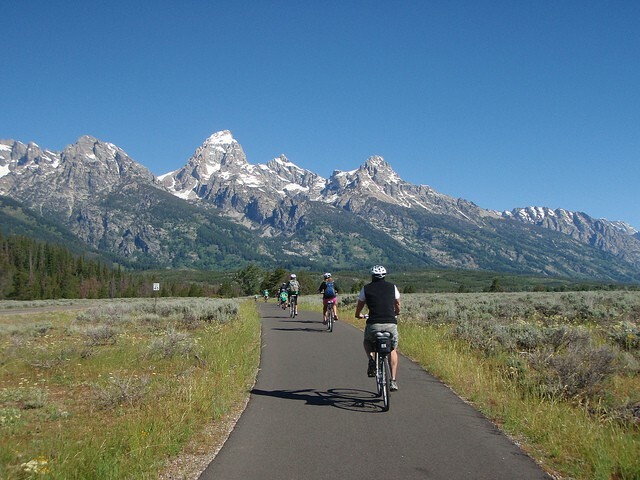 Grand Teton has a lovely multi-use path, from the town of Jackson, continuing through the community of Moose, and ending at the Jenny Lake Visitor Center. Starting at Mercill Avenue in Jackson, pass along National Elk Refuge. Then, the trail closely parallels US Highway 26 as it heads southwest from to Moose, under a wide open sky. The final part of the path parallels Teton Park Road, offering beautiful views of the famous mountain peaks and providing access to the many Grand Teton National Park scenic overlooks. Depending on where you are staying and what distance you would like to run, pick up the path at any point and create your own route. If you are staying for multiple days, try different sections of the path. Because this route is highly used, this might is your safest option when trying to avoid bears or other dangerous wildlife. Note: this route is not plowed in the winter.